You can think of tone of voice as personality expressed in writing. It's the critical element that delivers your brand promise: who you are, what you offer and how you are different. But selecting a writing style (and writer) and developing a tone of voice that reaches multiple channels is difficult—if not, impossible—until now. 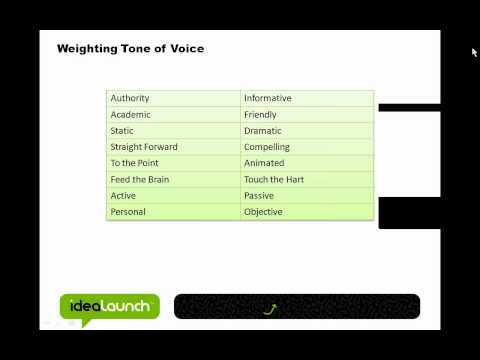 Join Byron White, Founder of WriterAccess and Chief Idea Officer of ideaLaunch, and learn how to develop a tone of voice that will bring your brand to life. You'll learn how to connect with readers, customers and fans. Explore 20+ writing styles featured in Byron's new Writing Tone and Style Guide. Best of all, you'll get private access to our new free Writing Tone and Style Wizard that walks you through the critical brand questions, compiling your answers that are instantly published in a PDF to get your writers, editors and employees on the same page. Guests Mike Roberts, Founder of SpyFu, and Casey Joseph, Owner of Casey Joseph Marketing, will join the conversation and test out the new Wizard, offering some thoughts and feedback.